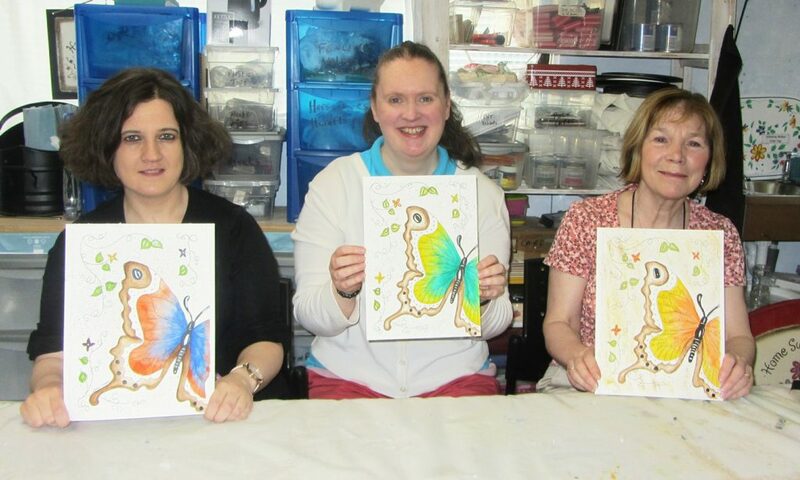 Do you ENJOY PAINTING! ……. Go home with a finished painting, after just 3hrs! 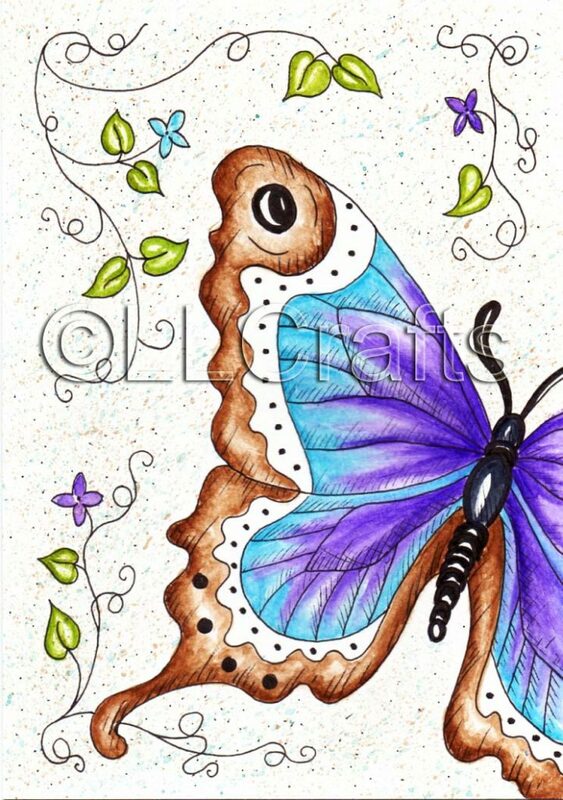 – using PEN & WASH Art Medium. 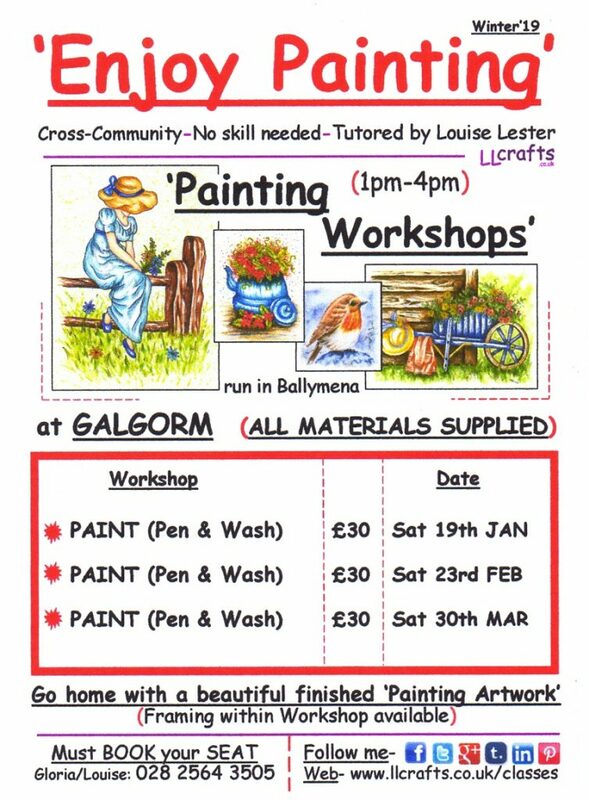 Held in ‘THE CRAFTY HUB’ at ‘LLCrafts’ Art Studio in GALGORM, BALLYMENA. 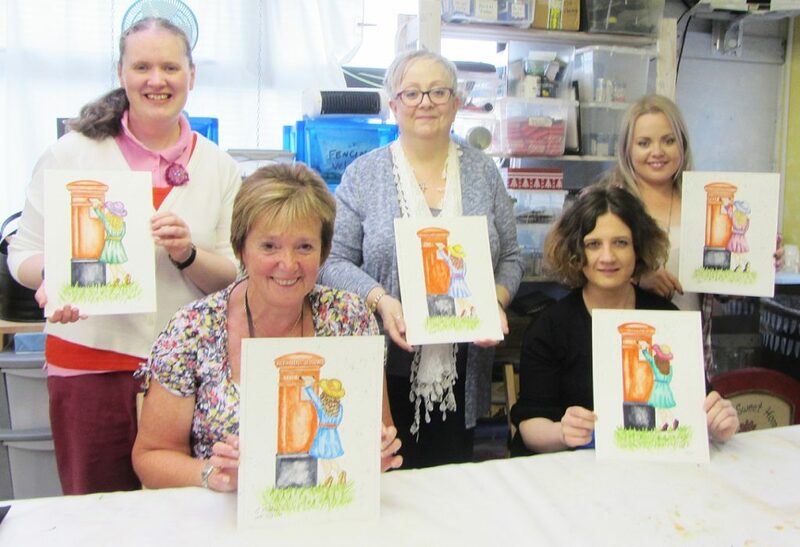 GIFT VOUCHERS can be purchased for a workshop! DEPOSIT is needed paid on booking. 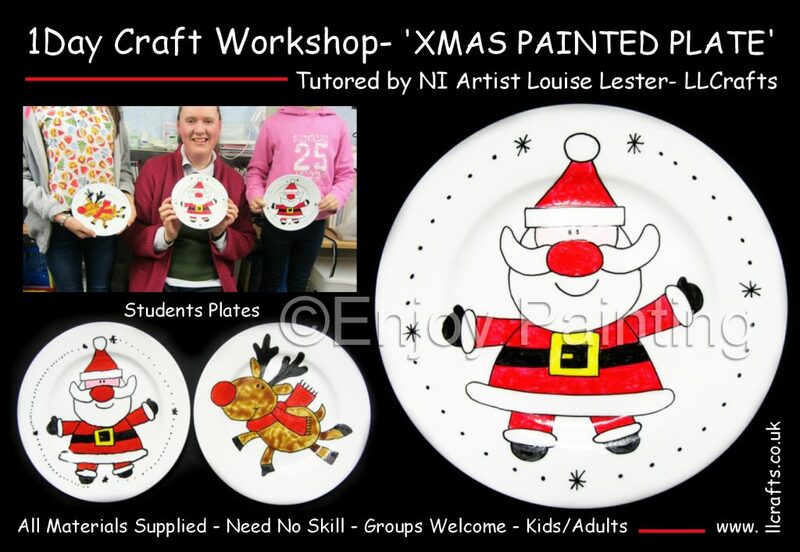 Christmas KIDS CRAFT Workshop …….. producing ‘Painted Plates’ with ‘Santa or Rudolf the Reindeer’ image choices! DEPOSIT is needed paid on booking. GIFT VOUCHERS can be purchased, to go towards joining a workshop! 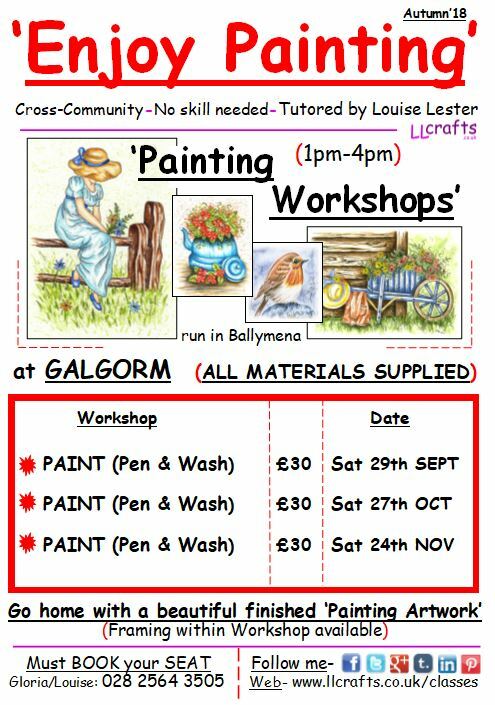 The perfect CHRISTMAS present for someone wanting to try painting!